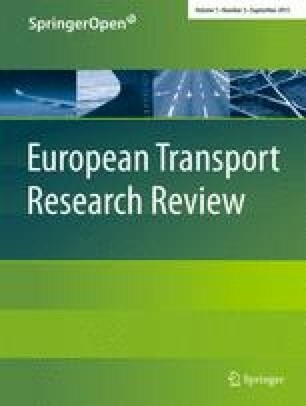 This paper is concerned with incentives for the take-up and use of e-vehicles that are in place in different European countries. Especially, it analyses Norway and Austria, in order to establish and understand factors influencing the competitiveness of e-vehicles and potential market penetration. Norway currently enjoys the world’s largest take-up of electric cars per capita, achieved through an extensive package of incentives. Austria has used the concept of Model Regions with government support to stimulate market introduction. So far, this has been a less effective approach. The paper brings in and combine analyses of national travel survey data and web surveys to e-vehicle owners and non-e-vehicle owners. It considers socio-economic factors including convenience and time savings due to e-vehicle policies. Analysing national travel surveys, we find a considerable potential for e-vehicles based on people’s everyday travel. Social networks play a crucial role in spreading knowledge about this relatively new technology. The take-up of battery electric vehicles correlates relatively closely with the user value of e-vehicle incentives. The fiscal effects of e-vehicle incentives are non-trivial – especially in the longer run. The cost of lifting a new technology into the market by means of government incentives is significant. We point to the importance of a strategy for the gradual phasing out of e-vehicle policies in countries with large incentives when the cost of vehicles goes down and the technology improves. Successful market uptake and expansion of electric vehicles requires massive, expensive and combined policies. Central government backing, long term commitment and market-oriented incentives help reduce the perceived risk for market players like car importers and allow the e-vehicle market to thrive. For countries with low e-vehicle market shares the potential is promising. Battery electric vehicles are already a real option for the majority of peoples’ everyday trips and trip chains. However, their relative disadvantages must be compensated by means of incentives – at least in the initial market launch phase. Diffusion mechanisms play a sizeable role. The lack of knowledge in the population at large must be addressed. In this paper, the term electric vehicle (EV) is used and understood as battery electric vehicles (BEV) that are only powered by electricity, including Extended Range Electric vehicles. Hybrid Electrical Vehicles and Plug in Hybrid vehicles are not pure EVs. The most widely used alternative is the ordinary internal combustion engine (ICE), which usually runs on conventional fuels like petrol and diesel. The recent years have seen substantial developments in the EV markets globally. The price of EVs has gone significantly down in real prices. Figure 1 illustrates how net prices have fallen steadily during the period 2009–14 for two typical BEV classes as represented by the Think City/Mitsubishi i-Miev, which are of relatively equivalent category, and the Nissan Leaf. This development in price reflects a real development in prices of relevance for Europe, since BEVs have been exempted from Norwegian VAT and registration tax throughout this period. At the same time, the new models are better equipped and enjoy better warranties and dealer coverage. Further, a large variation of vehicles is now available. Back in 2009, there was only one real battery passenger car alternative market, the “Think”. The introduction of a new technology and departure from ICEs could require large subsidies and investments as well as a political commitment , a situation more generally found for environmental technology [21, 36]. This paper is concerned with incentives for the take-up and use of e-vehicles that are in place in different European countries and to what extent they affect market shares of vehicle sales and vehicle fleets. A focus is placed on the user value of individual incentives, as well as their impact on public budgets. Although highly relevant, it is not within this paper’s scope to consider the consequences on the total level of traffic, nor to present a full economic welfare assessment of EV policies. Norway currently stands out as the world’s largest e-vehicle market as measured per capita. Therefore, Norwegian policies and their impact are of particular interest for this paper. The analysis includes socio-economic factors as well as convenience and time savings due to e-vehicle policies. On the government side, the fiscal effects of e-vehicle incentives are significant. The cost of lifting a new technology into the market is considerable. Therefore, this paper highlights the need for a strategy for the phasing out of e-vehicle policies. In this paper, we will investigate policy options for increasing the share of EVs. For that, we will mainly concentrate on the Norwegian situation. Yet, as Compett also includes Austria, we make an excursion there and make some comparative assessments of the two countries. This paper brings in and combines analyses of the 2009 Norwegian National Travel Survey (NTS), two web surveys among e-vehicle owners and non-e-vehicle owners, respectively, and an analysis of socio-economic factors including convenience and time savings due to e-vehicle policies. It also builds on work within the Compett project to further develop a dynamic car fleet and propulsion technology model called Serapis [14, 27, 28, 31]. Serapis produces time series data about the number of vehicles by propulsion technology as a result of policy interventions like EV incentives, and calculates environmental and economic indicators for the evaluation of these policies. The remainder of this paper is organised as follows. The next section provides an overview of European incentives and market shares. Section 3 presents theory and empirical evidence for market diffusion of EVs and presents key findings of an analysis of NTS data, which suggests the size of the potential for EVs. Section 4 goes more into detail of the Norwegian incentives and their effect on market shares and presents findings of the two web surveys. Section 5 provides a socio-economic assessment of these policies. Finally, section 6 draws conclusions and policy recommendations. The market for EVs has increased between 2010 and 2014 in most countries, but most profoundly in Norway, which currently is the European leader in EV adoption both in absolute numbers and in market share (Fig. 2 for BEVs and Table 1 for all EVs). The market share of sales in the first half of 2014 was close to 13 % in Norway, with the Netherlands and Estonia as the next countries, relatively far behind with market shares around 1 %. Table 1 also presents the various EV incentives that are in place in a selection of European countries. The table is an approximation and a snapshot only, because several subsidies come and go, are only in place in certain regions or cities, are limited in time and value, and so on. The most widely used incentives in this selection of European countries are registration tax exemption, annual vehicle tax exemption and purchase subsidy/grant. In some countries, these are rebates rather than exemptions. It is worth noting that the highest market shares, especially in Norway and Iceland, are associated with non-financial incentives as well, like bus lane access, and non-tax incentives like free street parking. This observation supports the findings of Moch and Yang  who compare incentives and market share in different countries and show that there are limits to what can be obtained by fiscal incentives alone. There is a clear tendency in Table 1 that more incentives are associated with higher EV market shares. Norway, in particular, stands out with the highest market share and the widest array of incentives. These are presented and discussed in greater detail later in this paper. According to Pan et al. , cities are more innovative, having universities, more international contacts and more people and interpersonal communication networks. Another aspect is the increased visibility with more people seeing the EV in use, especially so in Norway with special signs for EVs. The diffusion pattern for EVs in Norway seems to follow the normal path. Figenbaum and Kolbenstvedt  show that the pioneer areas of electromobility were found in the larger cities and their vicinities and that this was clearly related to incentives making commuting cheaper as well as timesaving. EV uptake and growth potential in the markets depend, firstly on the early adopters and future diffusion into the rest of the market and, secondly, on the proportion of daily trips and trip chains that possibly can be made within EVs’ limited range and battery charging needs and, thirdly, on the relative advantage of EVs compared with traditional vehicles. Different actors and decision makers will react differently to new products. It is therefore essential that some people are willing to try out new technologies. Rogers  distinguishes between five groups of users of innovations with different socio-economic and personal characteristics and communication behaviours: Early users (Innovators); Early adopters; The early majority; The late majority; and Laggards. Using new environmental technology can often have rebound effects and involve costs for the users. Environmental innovations cannot usually develop into a large market without parallel public incentives [12, 13]. Studies of early adopters of EVs indicate common socio-demographic characteristics across countries. The early adopters are relatively young, a majority are men, they have high education and income, and belong to households with more than one car [5, 6, 29, 32, 35]. The majority also lives in, or in the vicinity, of larger cities. Figenbaum et al. evaluate the Norwegian market and find that the largest potential for further expansion lies in the early majority, who considers buying an EV next time or who haven’t made up their minds, and the late majority, who still don’t consider the EV option. The early majority group has, more or less, the same sociodemographic characteristics as potential car buyers in general. The suggested positioning of the groups indicates a continuing positive diffusion process in Norway. Looking at diffusion as an interplay between technology and society (cf. ), understanding the communication processes is important in order to assess the market potential of an innovation. In their study of factors influencing EV diffusion, Figenbaum and Kolbenstvedt [12, 13] look at the importance of social networks. Social network is here defined a social structure made up of a set of ties between social actors (individuals, groups, organizations), c.f. Parsons . The possible importance of social networking sites is included the media category. They found that on average 36 % of the EV owners have friends who bought an EV after they told them about their experience and 34 % that now consider buying an EV. The latter group represents a potential for the EV market. Those who live in the city or close to the city, have more friends that have bought EVs after being informed, compared to those who live further away. The latter group has more friends considering buying, i.e. a greater potential. This is seen in the Norwegian EV market growth that, relatively seen, was greatest in smaller cities and rural areas the last year. The potential growth in these areas will easier be realised when the technological developments secure a longer EV range, more charging stations are at hand and an increasing amount of information about the EVs energy efficiency and other assets is disseminated through media (including websites) and social networks (cf. Figenbaum et al [10, 13]). Range anxiety (the fear of being stranded due to a depleted battery) is ubiquitous and has been a major barrier for EV diffusion (cf. [3, 10, 11]). However, the range of new EVs and capacities of batteries keep increasing. For the purpose of analysing EV potential, the Compett project (cf. section 1), and in particular Hjorthol et al. , used data from the Norwegian 2009 National Travel Study (NTS 2009) to describe the general travel pattern and length of trips in the population. The Norwegian NTS 2009 shows that the population make on average 3.3 trips per day, all moods included. The average trip is 12.0 km and lasts for 24 min, and the average length travelled per day per person is 42.1 km. A large proportion of daily trips is short. Only 27 % are 10 km or longer. Relating this to the critical range of an EV, only 2.7 % of the car trips are longer than 80 km (winter limit), and 1.4 % are longer than 120 km (summer limit). Looking at the total car driving distances made as driver, only 5.3 % are longer than 50 km. Studying the total distance as a car driver on an average day in NTS, as many as 88 % have no need for recharging . However, trips need to be analysed in connection, in trip chains. The single trips are not isolated entities. They add up, and while a trip itself may be short, it could be part of a longer trip chain, with a possible need of recharging. Looking at daily car trip chains, only 8 % are longer than 80 km and only 4 % of them are longer than 120 km. Work related trip chains are longer than the average tip chain . On an average day, 12 % of Norwegians exceed the range limits. In these situations, it is necessary to recharge in order to use an EV. Recharging can be done during the day if the stops are long enough and the conditions are suitable with access to at least an ordinary electric socket for normal charging (typically home or work). Of the relatively few car drivers in Norway who exceed the range limit per day, a majority has stops during the day giving a good potential for recharging. Between 24 and 29 % stop at home between 1 and 5 h during an average day and 20–40 % have a long stop at work of more than 5 h, both sufficient for full or partial charging. In addition, about 10 % can park at a designated parking area, and have a potential for some recharging there. In Austria, the average trip in 1995 was 9.5 km and lasted for 23 min, and the average length travelled per day per person was 29 km. In Lower Austria the average length is 43 km in 2008. Trips are short also here: 6 % of the trips in Lower Austria 2003 and 2 % in Vorarlberg 2008 exceed 50 km . A separate analysis of the long trips (100 km+) in Norway from the 2009 NTS shows that the majority of these trips are connected to holidays and leisure activities, and most of them are done by car. People living in the surrounding municipalities of the capital, Oslo, are those who have the highest number of long car trips in the country. Men have more long car trips than women. People in their middle ages, those with high household income, those with three or more cars, and work more than 40 h per week have most frequent long car trips. About 40 % of the Norwegian population own or have access to a leisure home/cottage/summer house. People living in the large cities and the surrounding areas have the highest ownership. On average people drive to their cottage 14 times a year. The estimated average distance to the holiday houses is 150 km, but one third have less than 50 km to the cottage, and further 20 % have a distance between 50 and 100 km. This is within the range of most EVs in the summer season. However, 40 % of the cottages do not have electricity installed, thus hampering the return trip. A substitution of an EV for a traditional car, considering transport to the holiday house, is primarily a problem for a majority of those living in the metropolitan area of Oslo, who have the longest distances to their summerhouse, and primarily so during winter time. Recharging on the way can solve the problem, but during holiday seasons, many people will be on their way simultaneously and might create a capacity problem at charging stations. Norway has, as stated above, the worldwide largest number of EVs per capita. The policy basis leading to this result has evolved over the years. In the early 1990s, the target of the policies was to make it possible to test and evaluate environmental technology by removing the new vehicle sales tax . Cities soon wanted faster market development and the exemption from toll roads (in the beginning around Oslo) was introduced in 1997 and free parking in 1999 . In the period around the turn of the century the focus shifted towards supporting the emerging national electric vehicle industry, such as Think, which was acquired by Ford in 1999 . The exemption from VAT was introduced in order to help boost the home market . In 2003, EVs gained access to the bus lanes around Oslo. The Norwegian Public Roads Administration wanted to remove private minibuses from the bus lane, thereby opening up a window of opportunity for EV lobbyists . However, Think was unable to produce EVs, as Ford had sold the company, PureMobility, another Norwegian company, produced a small hand built EV. Second hand EVs were imported from countries that had abandoned their EV activities, such as France and the US, to meet the demand from bus lane users in the Oslo area . Towards 2010, the EV policy focus also shifted towards achieving greenhouse gas emission reduction. Think was reborn and a support program for charging infrastructure and reduced rates on ferries was introduced in 2009. The aftermath of the financial crisis in 2009 led to a downfall of the Norwegian EV industry. Original Equipment Manufacturers (OEMs) launching their EVs from late 2010 could exploit two decades of efforts to establish EV incentives. The sharp increase in the fleet after 2010 is due to more and more OEM EVs being launched. The prices of EVs were at the same time going down, cf. Fig. 1. The developments in incentives, supply side and market penetration are combined in Fig. 3. When looking at the different Norwegian EV incentives, Figenbaum et al. used a division into three different types of incentives: 1) fiscal, 2) direct, and 3) incentives giving relative advantages to compensate for drawbacks. This again is based on Figenbaum and Kolbenstvedt . Parts of this elaboration is reproduced in Table 2. Norway is in many ways unique. It is wealthy, distances are long, it is mountainous, and winters are cold. While the former might promote EV usage, the latter three limit their application. Expansion outside of the major urban areas and commuting distances necessitates a suitable charging infrastructure. This is under (rapid) development led by both a nationally funded organisation (Transnova, a government body, which provides financial support to the establishment of public charging facilities; in 2015 Transnova merged with ENOVA) and local and private initiatives. At the time of writing, there are about 5000 charging outlets (nobil.no) across Norway, of which about a hundred are fast charge stations. Special attention has been paid to developing fast chargers along the main transnational routes. This means that, despite the long distances, a cross-Norway drive is a possibility for most EVs, albeit requiring frequent charging stops. To better understand the potential for increasing competitiveness of EVs the Compett project carried out a web survey among 1721 EV owners (members of the Norwegian EV Association) and another survey among 2241 general car owners (members of the Norwegian Automobile Association). Both surveys took place in January 2014. Norwegian EV owners value the economy of electric motoring, the environmental benefits, and most importantly; that EVs meet their transport needs . They do not report large problems with having an EV and have developed various strategies before and during their travel for coping with possible range challenges. They plan better, borrow a car, use the family’s second car or they drive more economically, turn off AC and heater or use a fast charger. 7 % of respondents with several cars in the household and 20 % in single-EV households report that they have experienced that some trips could not be made. However, they were not asked about how often this happened and of the importance of these trips. When looking at trip distances and stop patterns for Norwegian car drivers, cf. Section 3.2, it appears that most daily travel in Norway can be done with a BEV. Norwegian EV owners suffer relatively little from range anxiety and are comfortable using on average 80–85 % of the battery’s range . 65 % charge their vehicle daily, 20 % charge 3–5 days per week and another 15 % charge 1–2 times per week at home in a garage, carport or outdoor. Public normal charging is used at least monthly by about half the EV owners, and 7–14 % use it weekly. Workplace charging is more widely used than public charging. The average annual number of fast charges per vehicle is about 14. 27 % use fast chargers more than once per month, and 6 % are weekly users. EV-only owners use fast charging more than owners in multicar households. Normal charging at public parking spaces is usually free. Half of the respondents did not pay for fast charging, for instance because they have a Tesla with lifetime free fast charging. Although fast charging was sometimes free of charge a few years ago, all fast chargers now  require payment. Almost all EV owners (87 %) will continue to buy EVs in the future. The motivations to buy again are related to economy and incentives, environment, and the joys of EV motoring (comfort, low noise), and that it fits their needs. Some owners also state that it is the technology itself, believing it to be the future of motoring, that is important. The Compett project has compared attitudes to EVs among EV owners and a general sample of car owners (2 241 members from the Norwegian Automobile Association (NAF) were interviewed). Figure 4 illustrates that those with experience of EVs have a rather different attitude to EVs than the general car owner. The latter group finds more disadvantages and few advantages with EVs. Therefore, it seems important to distribute knowledge of EVs in order to increase the market share. The study also shows that both media (including websites) and social networking among persons is of large importance in the diffusion process. Among the members of the NAF who own ordinary cars, 30 % would consider an EV the next time they buy a car. Among those who have friends with EVs, the rate is much higher: 44 %. Further, 36 % of those who own EVs state that they have friends who bought EVs after they told them about the experience. The Norwegian EV policy, with its many incentives, long history and the establishment of Transnova, has reduced the barriers for e-mobility. Norwegians were ready to buy EVs when the big automakers started launching their models in late 2010 [11, 13], having had experience with EVs throughout the 2000s. An interesting point from this comparison of EV owners and general car owners is their very different weighing of environment and safety. Two thirds of the EV owners value that EVs are environmentally friendly while only a quarter of the general car owners do so when buying their car. There are large regional differences in the reported advantages from the various incentives. Bus lane access is emphasised in the Oslo-region, where resulting time savings are large (up to 30 min). Reduced ferry rates are more important in the coastal regions. EV owners seem to live and work in areas where they can use these facilities to a larger extent than the average car owner. However, the EV market is spreading into smaller towns and even in areas where no local incentives are at work. This fact suggests that incentives are not the only factor influencing the EV-buyer’s choice, but are efficient in raising awareness and getting the market started. The starting point for the launch of electric mobility on the Austrian market are support programmes, a positive tax framework, as well as the so-called pilot regions and lighthouse projects, demonstrating technological solutions and regional pilots that have generated, since the year 2008, practical experience and knowledge in Austria. However, contrary to Norway, there are is no VAT exemption and there are almost no non-monetary incentives such as the use of bus lanes. In Austria, the number of e-vehicles in the yearly stock is rising rapidly (Fig. 8), but of course not comparable to other countries like Norway. The share of E-vehicles compared to the total stock (4.7 million cars) is currently around 0.06 %. Electric vehicles are exempted from the purchase tax and the annual motor vehicle tax, resulting in about EUR 4000 savings over 5 years. Financial incentives for private users are only given from the nine Austrian federal states: the subsidy schemes differ a lot but can offer grants up to EUR 4000 per e-vehicle. Also insurance companies offer discounts from 10 to 20 % for e-vehicles. Only a few cities offer free parking for e-vehicles (not Vienna). Financial incentives and purchase tax credits for companies and communities are offered within the national climate protection programme “klima:aktiv”. The rates are staggered according to the type of vehicle introduced, the level of CO2 reduction achieved and the amount of renewable energy used for new cars with alternative propulsion systems: e.g. a tax credit of EUR 500 for hybrid vehicles. Up to EUR 4000 are granted for purchasing EVs, if powered with renewable energy, otherwise only EUR 2000. Since 2013, also the purchase of Plug in Hybrid vehicles and Extended Range Electric vehicles are eligible within the new funding regime and there are subsidies from EUR 500–3000 available, depending on the level of CO2 reduction and the amount of renewable energy used. E-bikes are granted EUR 200, or EUR 400 when powered with green electricity. The purchase of E-scooters is subsidised with EUR 250–500. klima:aktiv has proven to be an important tool for e-mobility: Around 10,000 electric vehicles (primarily e-bikes/e-scooters and light-weight community e-vehicles) and over 1000 additional electric charging points were funded within the programme. The corresponding reduction of CO2 emissions amounts to 23,802 tonnes/a. Within the years 2007–2013, an overall support volume of klima:aktiv for the conversion of fleets to alternative fuels and propulsion systems of EUR 14.2 m triggered EUR 106 m of investments and generated and secured 1200 new “green jobs” . Within the Austrian Climate and Energy Fund, the introduction of e-mobility is promoted by R&D projects and the pilot regions for e-mobility. These regions focus on electric vehicles powered by renewable energy sources and the integration of “vehicle use schemes” in combination with the public transport system. Users within the pilot regions pay a monthly “mobility rate” which includes not only the electric vehicle, but also the use of public transport. e-log in the City of Klagenfurt; promising e-logistics solutions with 200 electric vehicles (goal) with focus on SMEs. As a next step, particular attention will be given to linking the different pilot regions by facilitating interoperability of electric vehicles and charging stations. For all the pilot regions particular attention is given to further integration of e-mobility and public transport, the facilitation of multi-modal solutions and interlinking the different pilot regions to facilitate interoperability of electric vehicles and the charging infrastructure. 120–150 km range of e-vehicles is sufficient for daily journeys (50 % of car trips <5 km); combined mobility services provide solutions for long distance. Subsidy cost and revenue loss to local and central governments can amount to substantial budgetary stress. Successful EV policies may also cause other consequences like reduced fuel tax revenues, congested bus lanes, reduced parking availability, reduced walking and cycling, etc. Some governments have therefore capped their incentives already at the launch of the incentive – either up until a fixed future date, until a certain level of goal achievement is reached, or until an earmarked budget is depleted. The Norwegian government declared in 2012 that their generous package of benefits will stay in place till the end of year 2017 or till 50,000 BEVs are registered, whichever comes first (Norway reached 50,000 BEVs in April, 20153). However, when the incentives where introduced, c.f. Table 2, no conditions or detailed procedure for termination were specified, and changes may now require revisions to national laws. For Norway, Fridstrøm and Alfsen (ed. ) have estimated that EV incentives represent lost revenues from purchase tax, annual tax, VAT exemption and toll road exemption lie in the region of EUR 0.18–0.25 bn. The VAT exemption alone costs M€41.3 annually . The total picture includes also costs of local incentives, lost fuel taxes, increased electricity taxes, etc. A life cycle calculation shows that Norwegian EV incentives cost €10.500 per saved ton of CO2, while the going price on the European CO2 permit market is about €5 per ton . Their study has been contested among other things for using unrealistic annual mileage assumptions for EVs and car ownership and unrealistic usage patterns for local incentives, and for solely focusing on the short term cost of CO2-mitigation, ignoring the long term effects of getting the market cycle of cost reductions and technology improvements on the way. Fridstrøm and Alfsen  show that the Norwegian EV fiscal incentives in fact have positive net welfare effect for society. Additionally, electricity in Norway is mostly hydropower. Using this for transport is a CO2 neutral solution, opposed to other situations, where the place of CO2 generation is only changed. In any event, to move transport energy use from private consumption (gasoline) to the CO2 permit market (electricity) will contribute to greenhouse gas reductions . Based on the National Value of Time study, the value of time saved in queue due to the access to bus lanes on rush hour trips to work is €33.6 per hour. The value of the toll-road exemption is estimated by combining respondents’ information about usage of toll-road, and the cost of the toll-road that they could be using, given maximum available rebates (which daily commuters will be entitled to). This approach is associated with some uncertainties. The average reflects the fact that not all EV owners pass toll roads. The regional differences are very large. As described above, there are large regional differences in the advantages the users report from the various incentives. The share of EV owners using both free toll road and access to bus lanes more than twice a week when driving to work is only 33 %. In addition, 26 % uses toll roads only and 6 % bus lanes only. Bus lane access will be a benefit to society as long as spare capacity is used without delaying buses. The toll-road incentive leads to lower income for the toll-road company. This company has a loan that is used to build roads and to support public transport in different ways. When income is reduced, either the rate per paying vehicle must be increased, or the period of payment prolonged. In both cases there is a cross subsidy between payers and non-payers. Free ferries are different from free toll-roads. The ferry cost should cover the marginal cost of transporting the vehicle and persons in the vehicle. If fewer pay, the rate per paying vehicle is increased or the subsidy from the province or government must increase. Free parking means that municipal income per parking space is reduced, that fewer parking spaces are available to other paying users, and reduced circulation. The cost of the free parking incentive for municipalities may thus exceed the value of the incentive for the EV owner. The introduction of EVs and departure from ICEs clearly require large subsidies and investments as well as a political commitment. However, the goal is to establish a self-sustaining market that could eventually thrive in a future time without public sector support. The question is, what is the size of a self-sustaining market and how to adjust different subsidies as the market for EVs grows in a manner that would not harm the take-off of the EV market. With the growth of the EV market the different factors that create that gap in the price of a typical EV vehicle and a typical ICE vehicle decreases. Figure 10 gives a schematic illustration of the principle. (Here, we only look at EV incentives and not at offsetting tax increases in alternative markets.) In the early years, the industry suffers from primitive and expensive technology, consumers face uncertainties with respect to second-hand market value, range, safety, etc., and a vast majority of the population is largely unaware of the EV market characteristics compared to that of ICEs (see Fig. 4). The gap between the two technologies decreases with the decrease in the size of these problems over time. Hence, the amount of the incentives should also decrease. It will eventually become inefficient and ineffective to maintain the level of incentives. Which incentives should be first abolished or reduced in size? Examples of these incentives in Norway, which have been important in different municipalities for the take-off of the EV market, are exceptions from road or ferry tolls, parking charges and VAT exemption. Forthcoming Serapis modelling will address this by identifying the least cost-effective and most detrimental policies. Table 2, above, already hints to the various incentives’ effectiveness, but do not consider cost-efficiency. The main conclusion of this paper is that successful market uptake and expansion of electric vehicles is the result of massive, expensive and combined policies. The high market penetration in Norway has been achieved through a broad package of incentives, which include reductions in the cost differences between conventional vehicles and e-vehicles, preferential treatment with respect to parking, road charging exceptions, access to bus lanes, a strategy for charging stations which is accompanied by generous government support, and technological advances. In tandem with this, the Norwegian growth is the result of diffusion mechanisms such as increasing awareness of the technology and products. With the continuation of current incentives and a well-communicated plan for gradual changes, the market share of EVs will probably continue to increase. The fact that these policies have state backing and apply to all parts of the country has probably reduced the perceived risk for market players like car importers. The policies are clear and predictable. Compared with Norway, Austria has followed a path which relies less on market mechanisms and which is more top-down in the sense that much responsibility and initiative lies with the e-mobility regions rather than general incentives in the market. The Austrian EV market has evolved in a similar fashion to Norway (compare Figs. 3 and 8), but the size of the Norwegian market is considerably larger - by a factor of about 10. The differentiated use of incentives and our EV user surveys point to an important aspect of the Norwegian success. Since the users have different needs, national and local stakeholders and the industry should use a broad package of incentives in marketing this new technology in order to speed up its diffusion. In addition to addressing different local barriers to EV use, the package of incentives sums to a forceful and reinforcing combination market stimuli. For countries which are still in an early phase of promoting EVs, like Austria, this paper has shown that the potential for EV uptake is promising. EVs are already a real option for the majority of peoples’ everyday trips and trip chains. However, the EVs’ relative disadvantages to the ordinary car must be reduced by applying incentives in the initial market launch phase, and the lack of knowledge in the population at large must be addressed. We have illustrated the importance of information in the process of dissemination of new technology by the fact that EV owners in urban areas, being the pioneer areas, have influenced more friends to buy an EV after them than EV owners in other areas have. People with family or acquaintances who own an EV are much more likely to consider an EV themselves. Technological diffusion is a process which takes place in a social system where communication is a crucial element. Key elements in this communication process are, 1) how the new technology is perceived with respect to relative advantages and compatibility with user needs and societal norms; and 2) observability and visibility, i.e. opportunity to experience the products. The first groups to be targeted are the early users (Innovators) and the early adopters. They are: urban dwellers, relatively young, mostly men, with high education and income, and belong to multicar households. Finally, it is worth highlighting the importance of cost-effective policies. Most EV incentives have a high cost. Inefficient policies should be avoided, including those which may be unduly harmful to other parts of society, like, e.g., bus lane access which could severely delay buses if not implemented properly. Cost-effective policies should be the first to be introduced, and the last to be withdrawn. An important area for further study is, therefore, to establish robust models and empirical evidence of how the different incentives affect market shares. In particular: Hjorthol , Hjorthol et al. , Figenbaum and Kolbenstvedt [11, 12], Figenbaum et al. [10, 13], and Fearnley et al. . If the outliers are excluded then the slope and R2 of the trend line remain relatively unchanged. Purchase incentives are not included in the figure since they are equal across the country. Shortly after that, in June 2015, the Norwegian government declared that all BEV incentives will be prolonged, but annual tax exemption will be phased out in 2018 and local authorities may choose away bus lane access and free parking. This paper is a result of the project Compett (Competitive Electric Town Transport), financed jointly by Electromobility+, Transnova and The Research Council of Norway, FFG of Austria and The Ministry of Science, Innovation and Higher Education (Higher Education Ministry) in Denmark.